Type/Scan the box set barcode into the barcode box. 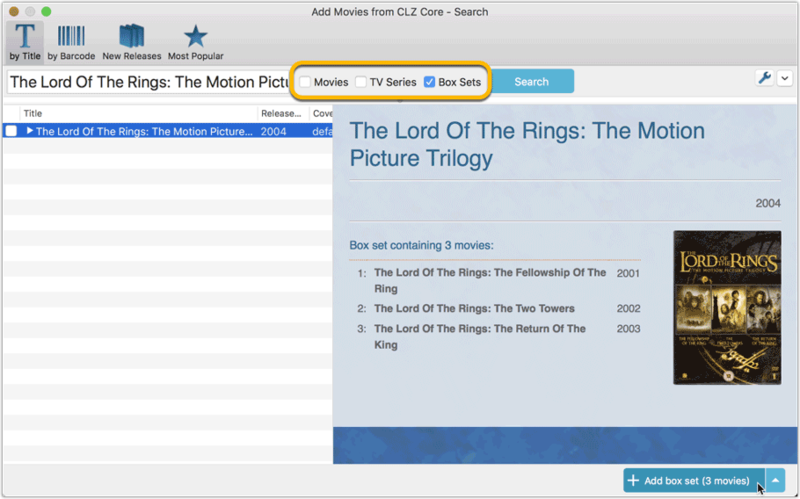 Use “Search CLZ Core” to add the barcode to the add queue and instantly find your box set. Use “Add this box set (x movies)” on the bottom right. 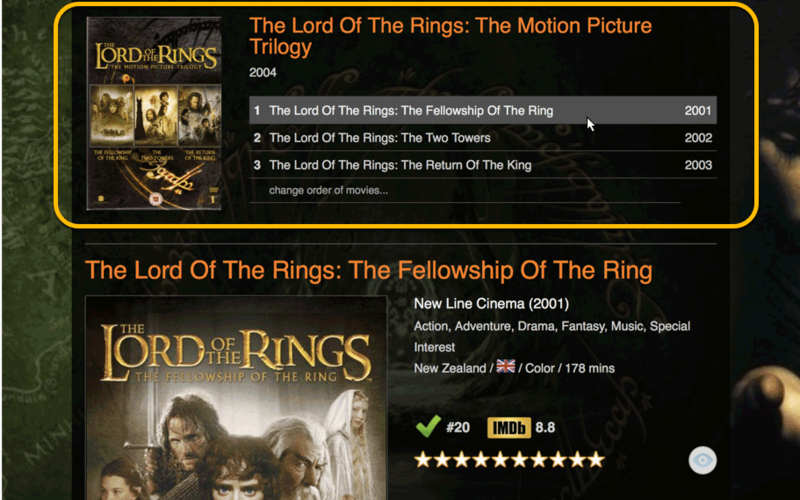 This will add separate entries for all movies and automatically link them together with a box set entry. Type the first few letters of the title of the box set and select a result from the dropdown. With your movies added and your box set created, you can see more information will be displayed in your Details Panel of that movie. You can also click a different movie from the same box set right there in the template to instantly select it in your database.